If I am a provider how do I add more instructors? If I am a provider how do I add proctors? You must also provide all supporting instructor and proctor documents. What are the requirements to be a proctor? Must have a current Intermediate level certification when proctoring a Basic Flagger Skills Assessment. No certification is needed if you are just proctoring intermediate or advanced examinations. If I am an authorized instructor am I also a proctor? What are the requirement for students to sit in class and for exam? Students must attend full class. Cannot be late for any part of it and cannot leave early otherwise student will need to reschedule their class based on the training provider's policy. Who can teach a Basic Flagger Course? 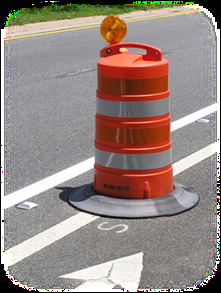 Training for the Flagger category must be performed by either a Provider listed on the MOT Administrator website or personnel holding a current certificate in the Advanced or Intermediate category. Only personnel trained through a Provider will be listed in the database. Course is only available in English. Can I use my own course material? No. The FDOT has standardized the course material. You are free to add cover pages and logos to your course handout. If you have any additional content that you developed or if you have any suggestions for improvement please let us know. If appropriate, the content can be added to the standard course at the next revision. What is the fee to become a provider? As of April 11, 2018 the fee is $0 per level. For example. If you want to provide flagging courses the provider fee would be $0. If you want to provide intermediate and intermediate refresher the fee would be $0. If you want to provide advanced and advanced refresher the fee would be $0. What is the cost of the exam and certificates? All exams and certificates including refreshers are $20. This fee is paid by the authorized provider. What is the cost for the flagger certificates? All flagger skills assessments and certifications is $20. Where do I get the exam “scantron” sheets from? What do I do with the exam sheets after the class? Within 48 hours of the completion of the examination, transmit all answer sheets, course evaluation surveys, consent forms and a copy of the class sign in sheet. You can USPS them to: Alfka, LLC. Attn: Ms. Maria Yulee. 100 S. Ashley Drive. Ste 600. Tampa, FL 33602. If you decide to mail them to us, we suggest that you make copies (electronic or paper) in case they get lost in the mail. It is our goal to process the exams within 3 business days from when they are received although FDOT policy states two (2) weeks. How do I submit the ZipScan Forms Electronically? This is a unique feature of the ZipScan Software that we are using to grade the exams and will avoid all postage delays and costs! It works best if you scan them as PDF’s or TIFF’s with at least 200dpi. The ability to read the exam sheets is 100% dependent on the quality of your scanner. If your scanner quality is poor or if the paper alignment is off it may not work. In this case we will ask you to resubmit them with a higher quality scan or via the mail. How do I buy course exams? Only Authorized providers will have access to purchase exams for courses. If you are an authorized provider simply login to purchase exams for your course. Once exam is purchased, it will appear in the MY EXAMS tab in your profile. Our website has been built using the PayPal ecommerce portal. The payments are processed securely using PayPal, VISA, MasterCard, Amex and Discover. No. If you don’t want a PayPal account you can pay as a guest using your credit card. If you are an authorized provider that purchases exams frequently it may be easier for you to obtain a PayPal account so you won’t have to type in your information every time. Do Providers receive a summary of grades after exams have been processed? Exams may take up to 2 weeks to process after the provider has submitted them to the Administrator (excluding weekend and holidays). Once exams are processed and grades posted, student will be notified by the Administrator via email. Username to login is the student's TIN#, which is bubbled in on the TTC Exam. Once grade is posted no changes can be made to the TIN# since the grade and certificate are linked to it. If their email is not legible they will not receive login instructions, they will need to contact the Administrator. It is the responsibility of the student to provide their employer with a copy of their certificate. Certificates are located in the student profile, they must login to print it. We do not email them or send them by mail. Is there special accommodations for TTC/MOT training and exams? Is TTC training for Basic Flagger, Intermediate, Advanced level courses provided in Spanish? FDOT does not permit providers of TTC training to offer the class in any language other than English. You may ask why? The answer is that the 600 series design standards, which are essentially the backbone of the entire TTC process are written in English and require a person who can fluently speak and read English. Do all providers offer continuing credit hours for MOT? Professional Development Hours (PDH) are not automatically provided. It is the responsibility of each Provider to obtain certification by the appropriate board to be able to provide PDH’s for attending their class. If available, PDH Certificates will be provided separately from the TTC Certificate.